Dr. David Hetherington has spent over a decade looking at the feasibility of reintroducing the Eurasian lynx to Scotland. In his new book, The Lynx and Us, Hetherington takes an in-depth look at the many issues surrounding this often controversial topic. Visually, the book is arresting by virtue of the stunning photography provided by Laurent Geslin. Currently living in Switzerland, Laurent is part of the KORA team of scientists specialising in predators. Hetherington begins the reintroduction discussion by establishing the history and ecology of the lynx, intrinsically and in relation to both human / lynx co-existence and geographical fluctuations in distribution. Habitat and range requirements, prey preferences and hunting methods are also detailed. Armed with this background information, the reader is then taken through the nitty gritty of lynx reintroduction by addressing the potential issues, many of which are based in human / wildlife conflict such as safety (of both humans and lynx), competition for resources, and the impact of wild lynx on domestic animals and the livelihood of farmers, with much of the information backed up by conservation and research findings associated with reintroductions of lynx in Europe. 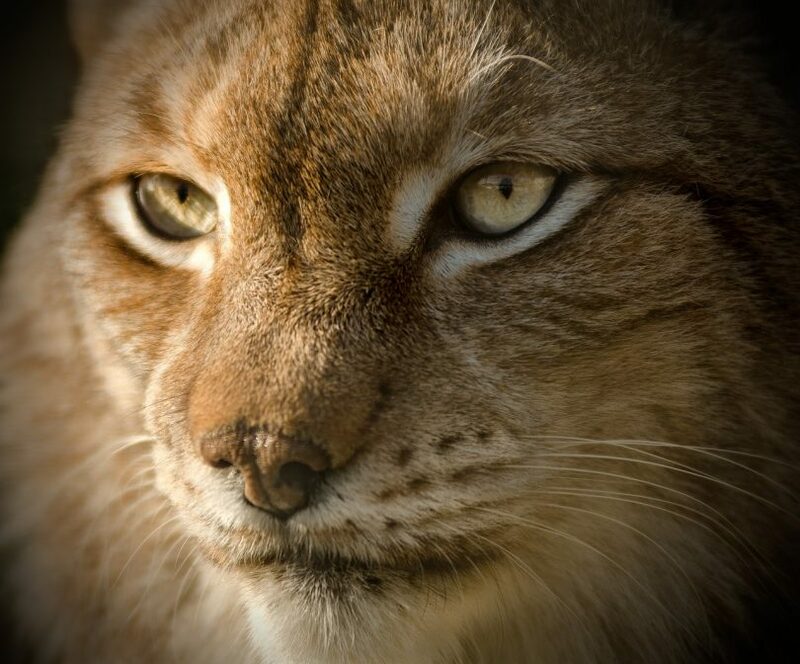 Then there is the significant problem of man-made barriers such as roads and rail infrastructure, which significantly impede the dispersal of lynx across landscapes, having a knock-on-effect to amongst other things, genetic diversity and the resilience of populations. There are also considerations regarding prey species that are unused to having natural predators in their midst and the impact on prey populations, the interactions between which are often complex and can be hard to predict. “By allowing top predators to come back, we restore natural processes, such as predation, anti-predator behaviour and the provision of carcasses that would once have shaped and driven our ecosystems for thousands of years — and can enrich them once again”. There is also a thriving economy based in large carnivore tourism, which can be a means by which to placate those landowners that have their traditional livelihood affected by the reintroduction of predators, although the illusive nature of the lynx can make guaranteed observation by tourists problematic. The book moves on to looking at the feasibility of lynx reintroduction in the UK. While the reintroduction of lynx to Scotland is shown to be ecologically feasible, how desirable is it? The main conflict is seen to be that between lynx and hunters in relation to deer and game birds. Predation of livestock and wildlife, such as the wildcat and capercaillie, are also issues of concern. 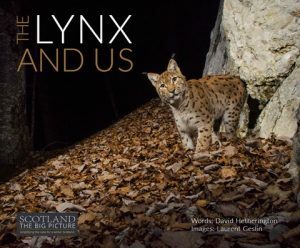 Hetherington addresses each of these in turn, using the significant knowledge base that now exists regarding lynx ecology and the findings of research into lynx and their reintroductions elsewhere. It is clear that walking the tightrope towards successful reintroduction can be precarious and it is yet to be seen whether all of the necessary facets of a reintroduction programme in the UK, can be brought into play. For anyone with an interest in lynx rewilding, The Lynx and Us, comprises the ‘go-to’ book, providing a seemingly robust and balanced assessment of the issues surrounding this “icon of the wild”. About the Author: Dr David Hetherington is a Scottish ecologist. He completed his doctorate at the University of Aberdeen in 2005 on the feasibility of reintroducing the Eurasian lynx to Scotland and published several peer-reviewed papers on the subject. He has travelled widely across Europe, visiting lynx-inhabited landscapes in Estonia, Germany, Latvia, Norway, Poland, and Switzerland, where he met with local lynx biologists and accompanied them on their fieldwork. This included radio-tracking lynx across human landscapes used by people for farming, forestry, outdoor recreation and hunting. In Scotland he helped set up and then managed an award-winning project, which worked with local communities and land managers to conserve the UK’s only remaining wild felid, the highly endangered wildcat. Much of his time these days is spent working towards the expansion of mountain woodland habitats across the Highlands. Book review written by Kate Priestman (CEnv, MCIEEM), Co-Founder of Inside Ecology. Kate has over sixteen years experience as an ecologist. Prior to setting up her own consultancy business in 2012, Kate worked in London for over a decade, providing the lead ecology role for a number of high profile projects. Kate works as an artist, author, freelance writer and editor.